The variety of landscape on offer during the photography tour finds its equal in few other places perhaps only in Arizona, Utah and Colorado can one find such similar terrain but here the distances to each shift in landscape are relatively short. You'll travel in an airconditioned vehicle on mostly good roads so sit back and enjoy the ride. Epic landscapes; deserts, oasis villages, snow capped mountains; people working the land, transporting their goods, mending their houses, working the looms, baking bread, making tea; rustic berber houses, Kasbahs, Ksars, cragged rocks, nature in close-up, abstract patterns, earthy colours, vivid skies, almond blossom, reflections in the water. We try to give you the right mix of people and landscape scene during your holiday. We have just returned from an "Images in the Sun" 8 day family photography holiday and cookery tour (Essaouira and the Atlas) with Darren and Naima, which I would highly recommend to anyone interested in expert photography tuition at all levels, Moroccan cookery and discovering Moroccan culture. We visited some amazing locations (Essaouira Medina and port, Ait benhaddou, an oasis, the Atlas mountains, Dades valley...) and were privileged to meet and photograph several Moroccan families. Darren is an experienced, funny and patient teacher providing opportunities and tuition for different styles of photography (portrait, reportage, landscape, abstract, black and white...). We all improved throughout the week technically and also discovering our different styles which were interesting to compare in the reviews of our photographs. The organisation of our tour and attention to detail was excellent. Each of the Hotel/Riads were carefully chosen by Darren and Naima for comfort, location and their warm welcome and the food was always great. It is well worth taking some time in Essaouira to learn Moroccan cookery with Naima who is an excellent cook - we loved the tour of the spice market to buy ingredients for the sweet tagine we made! Thank you Darren and Naima for a wonderful and memorable week! 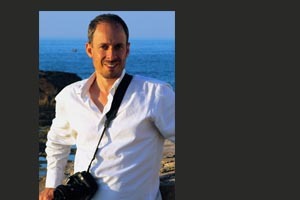 This is one of our small group (max 6) photography tours in Morocco with arrivals and pick-up from Marrakesh airport. Your final night will be Marrakesh. It's assumed you have some basic knowledge of photography; compositional sense or some basic techniques that may need refreshing during the tour. All accommodation will be in comfortable 2/3 star hotels/B&B's. The accommodation is of good standard with en-suite facilities. There is no room sharing. The tour is inclusive of airport collection & accommodation. The tour aims to arrive at the best locations at the right time of day for photographing. It's tailored for both landscape photography and people photography and in the evening there's the opportunity to review your photos to check you're on course to be get the best from the trip. 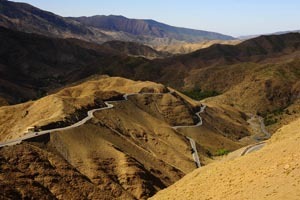 The tour covers many of Morocco's main photographic attractions and includes places that are rarely visited. In the interests of sustainable tourism, local people will be paid a fair wage for demonstrating their skills or guiding. Click here for a gallery of images from a recent tour. Register with the sign-up button above for an itinerary.